This enchanting ruffle dress is perfect for celebrating the summer. Made in layers of sheer, textured chiffon with a soft poplin lining, the dress has a stunning round neckline and a frilled bodice in pastel white, peach and pink. 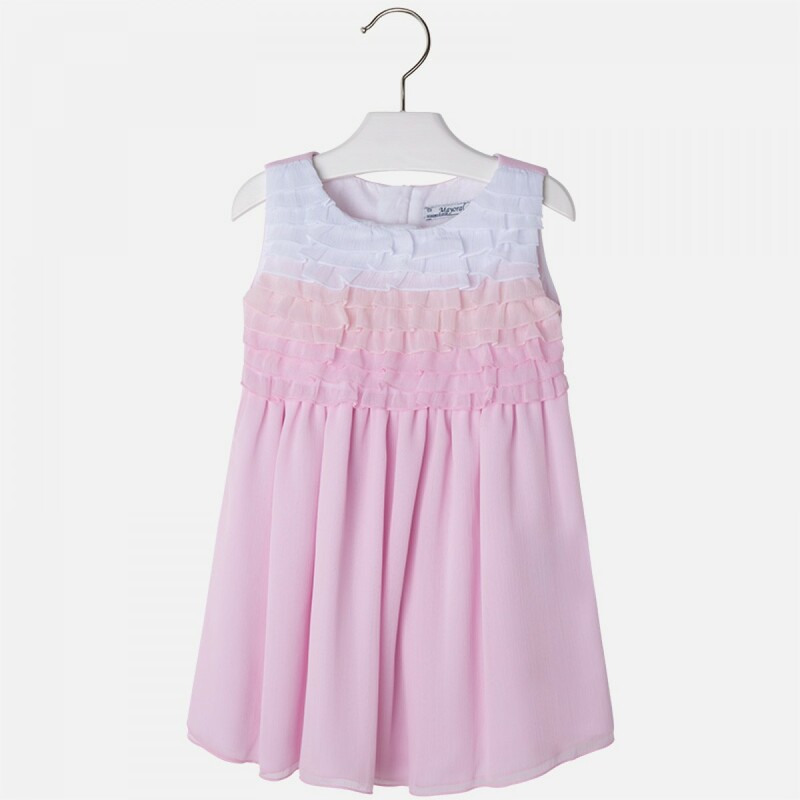 The pastel colours are lovely - if she loves being pretty in pink she's going to adore it. We love the details - the frilled bodice look along with the gathered flowing waist are perfectly in tune with the rhythms of summer. Washing instructions: gentle wash at 30 degrees, do not bleach, do not tumble dry, cool iron only, suitable for dry cleaning.